London Knights – Yes, they lost their final game to Erie, but have still won nine of their last ten. Easily the hottest team in the league heading into playoffs. Will look to keep that momentum up going into series against Owen Sound. Erie Otters – Final win against London was big from a confidence standpoint, and now they get what looks like the easiest playoff matchup against the Saginaw Spirit. Didn’t end the season as strongly as they could have though. 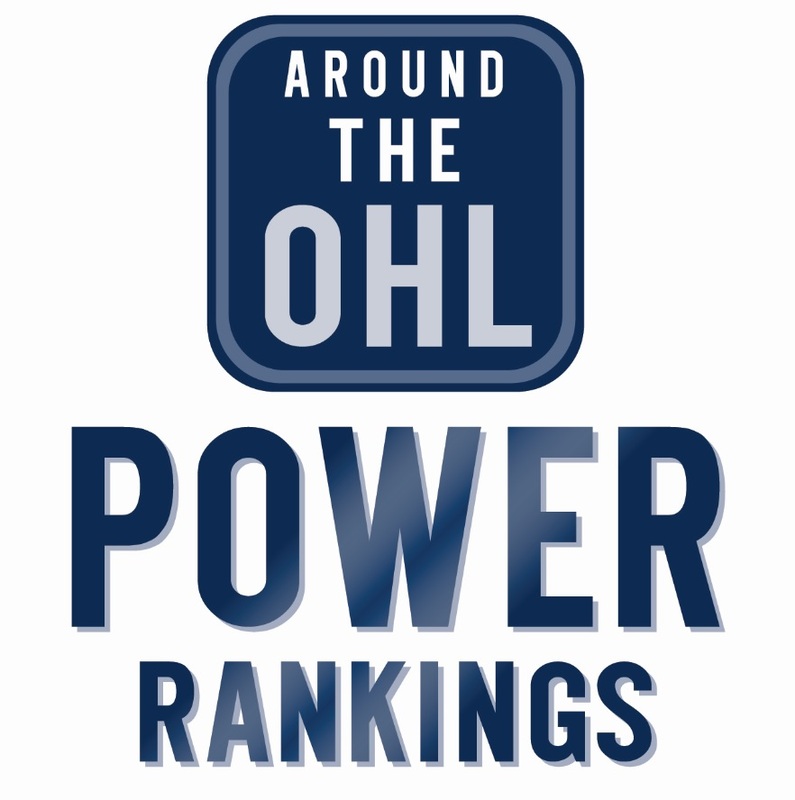 Kingston Frontenacs – Still won their last two games, despite having the top spot in the conference all locked up. Hard to imagine them losing to Oshawa, or anyone else in the East for that matter. Sarnia Sting – Strong end to the season sets them up for a matchup against a sneaky good Sault Ste. Marie team. Point of concern? Only Charlie Graham has playoff experience in net, and his career playoff save percentage is 0.887. Windsor Spitfires – Three wins and one SO loss as they head into a playoff series against a struggling Kitchener Rangers team. Is Michael DiPietro ready to lead a playoff team at 16 years old? Barrie Colts – Barrie has a top notch offence, and one of the few goalies in the game that can steal a game by himself. After winning 7 of their last 10, Colts should have no problems with Mississauga, and should be considered a threat for the OHL title too. North Bay Battalion – Bounced back from a rough stretch to win 3 straight just before the post-season. However they’ve followed up every hot streak with a brutal cold streak. Can they avoid that now that it’s playoff time? Ottawa 67’s – Winners of six straight, making them the hottest team in the league. Face an interesting rematch of last years playoffs against the IceDogs, a team with more talent on paper, but haven’t exactly been lighting teams up, while the 67’s are scorching hot. Kitchener Rangers – with a record of 4-5-0-1 in their last ten, this team is limping into playoffs. Can they turn it around against a competitive Windsor team? Can they rediscover the 200 foot game they were so successful at early? Niagara IceDogs – They have home ice advantage, but get pitted against a hot 67’s team. Will improvements in net pay off in the post season, or will the team’s overall consistency rear its ugly head, and come back to bite them? Sault Ste. Marie Greyhounds – My go-to pick for a team that could pull an upset. They’re more dangerous than their record shows, and have looked as good as the top teams on some nights. Should make for a great series against Sarnia. Winners of two straight going into the postseason. Peterborough Petes – With the Petes playing the Battalion, its a matchup between arguably the two streakiest teams in the league. Nice little OT win to boost their spirits heading into the first round. Mancina in net gives them a chance. Owen Sound Attack – Same story with these guys, played well but other teams just played better. Going 5-4-1-0 over last ten is an okay way to enter the post season, but they got stuck playing the Knights in the first round. Mississauga Steelheads – After using Jack Flinn in net 64 times this year, you have to worry about fatigue. Can their young guys arrive early to steal an entire series? Doubtful, but crazier things have happened. Oshawa Generals – Winning six of their last ten is nice, but they don’t stand much of a shot against the East leading Kingston Frontenacs. Fun fact: Oshawa’s the only team to have a former OHL champ in net in Justin Nichols, even if he hasn’t been stellar. Saginaw Spirit – Do they have a chance? No. They could steal a couple wins though, as they split their season series with the Otters. Even outscored them in those games combined. Hamilton Bulldogs – Certainly didn’t make it easy on Oshawa in their battle for the final playoff spot. Bright future for these guys. They were competitive, and have a lot of room to grow. Flint Firebirds – They face a very important off-season. Went from an early surprise to a disappointing conclusion, and will have to really look at why that happened. Guelph Storm – It’s going to be a long rebuild, but end of year progress shows they are heading in the right direction. Sudbury Wolves – Ended the year losing nine straight. Sure, it’s an improvement on last year, but they might be further behind on the rebuild than they thought they were.